The Finger Lakes Region of New York recently hosted bloggers for both Travel Media Showcase (TMS) and the Travel Bloggers Exchange (TBEX) when they brought their conferences to the western part of New York. We embarked on nine days of touring with seven travel bloggers around a destination. It was a truly eye-opening experience into the world of bloggers, how they work and what actually motivates them to care about and produce tourism blogs about a destination. Read what you may about enticing a travel blogger or understanding what to ask for or expect from a travel blogger; nothing can replace an actual first-hand experience immersed in every facet of what inspires these unique journalists to write about your destination. 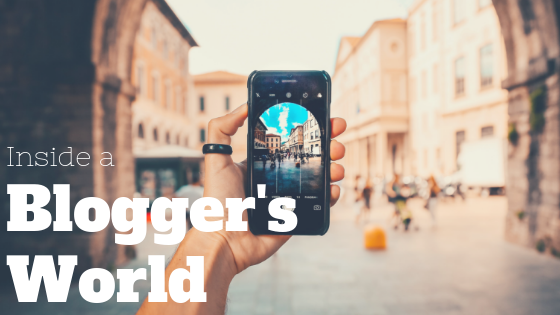 Here’s what I know for sure about ‘bloggers at work’ and how best to create an experience for them that will convert to a great blog for a destination. You’ll plan for them to zig and they will want to zag. That’s actually a really good thing. No hand-holding for this group. They’ll arrive at the attraction and immediately venture towards what appeals to them. Don’t be offended. After all, if it appeals to them in their own way, that’s how they’ll write about it and that’s how they’ve built their followers. Give them space to seek out their own ‘twist.’ That independence is exactly why it is best to allow the blogger their own time and not group them with other bloggers. Groupings can work with very similar bloggers but they are by far best suited to travel independently. Each of them has a unique angle and focus for their content. They somehow, either by training or natural instinct, flesh out the little, hidden nuance at an attraction. Bloggers and influencers are so totally conscious of what their followers are expecting of them that they will see things you might not see yourself as a destination marketer. They ask questions- lots of questions, and always guide a conversation towards what their very specific interest is. Be mindful of this, let your partners know this and the overall experience will prove fruitful for all. Their world revolves around that device in their hand – often-times two devices. Bloggers know all aspects of that device and know how to maximize its potential and guard that device with their life. They feed it with battery packs in various sizes and shapes and are forever looking for ‘juice.’ It is, after all, the tool of their trade. Don’t be fooled though. While it may appear that their total concentration is focused, looking down at that device, they are still engaged. They are simply creating content and, in many cases, they are sending their thoughts about what they are seeing straight out into the world – real time. Again, prepare yourself and your partners for this seemingly distracted guest. While we all know how important a good image is in the world of destination marketing, the blogger will spend an inordinate amount of time ‘setting up’ a photo. Stage a product so the light is just right, venture to the brink of the path to grab the right long shot, let the actual food go cold while positioning the plate and cutlery in a very specific manner and the list goes on. Result – generally a magnificent shot worthy of any tourism publication or website- let alone tourism blogs. The best news about all that patience when it comes to waiting for those photo-shoots? The stellar photos they are likely to share with you and the absolutely great content they share about your destination or partner. Time management goes straight out the door with this group! All that independence, curiosity, tech-time, and photo preparation leads to a schedule that only they can (and should) control. When something interests them they simply need more time. They also don’t take kindly to rushing along- and who can blame them? They are often real-time sending out content to their followers and after all, that’s part of what we want. Do yourself and your partners a big favor and allow for plenty of time. First-hand experience is always best and my experience with bloggers was like a ‘master-class’ in the education of hosting bloggers.